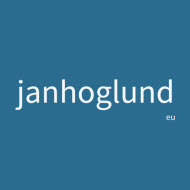 Posted byJan Höglund	 2016-05-15 Leave a comment on What is healthy power? Healthy Power is circular, not linear or flat. Healthy Power is fluid, not frozen. Among the models, or gold standards, mentioned in the manifesto is Holacracy. It’s worth noting that Healthy Power is process power in Holacracy. Holacracy really doesn’t care how people feel as long as the process is honored. And Holacracy keeps human values out of the organizational space. This means, in my view, that the gold standards may not be so golden after all. I think we have to discover, and protect, Healthy Power ourselves. The beautiful thing is that we have millennia of experience to draw on. Healthy Power sees life’s intrinsic value. Unhealthy power doesn’t.